What Contributes to this Problem? Risk factors that contribute to drug abuse and depression. Assessments that further examine mental health and substance use concerns. Treatment options that are available for those who are struggling with a dual diagnosis of substance abuse and depression. Neglect: When a young person is neglected, they may also experience fear and anxiety, which can lead to depression. They may be more heavily influenced by their peers in the absence of parental care, which could increase the likelihood that they engage in substance use too. Abuse: Experiencing physical, emotional, or sexual abuse can create feelings of fear and anxiety, impact self-esteem, and lead to depression. Those who have suffered abuse may use drugs and other substances to cope with the pain the abuse has caused. Trauma: Similar to abuse or neglect, experiencing a traumatic event, such as suffering an assault or witnessing a serious accident, can cause increased feelings of fear, a changed perception of the world, flashbacks, and symptoms of depression. Again, teens may turn to drinking and drugs to cope with the impact of a traumatic event. Significant life changes: Momentous life changes, such as moving or parental divorce, cause much stress and can impact those involved in a variety of ways. 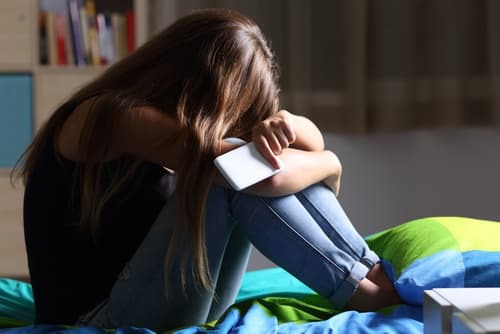 For example, if a young person moves and attends a new school, they may feel that they are not connected socially and may become isolated, which can negatively impact self-esteem and may lead to depression. Other significant life changes, such as their parents’ divorce, may contribute to teens being more influenced by peers, which could increase their odds of abusing drugs. Family history: Research shows that a person is more likely to experience depression if other members of their family have depression too. Peer problems: Having an issue with peers is another significant factor that can lead to feelings of depression. For example, if a teen is bullied at school, their self-esteem may suffer, which can lead to symptoms of depression. Also, peer pressure can encourage teens to engage in alcohol and other substance use. 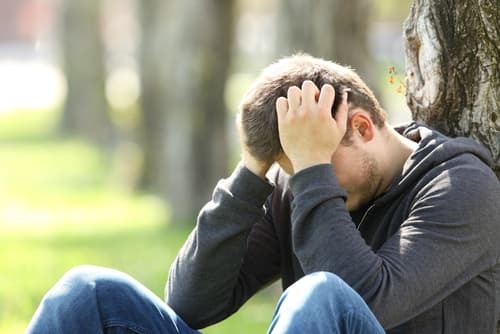 Because depression and substance use have a significant impact on one another, it can be difficult to separate these concerns into independent issues. Therefore, it is important to be properly assessed and treated for both depression and substance abuse issues. Family history of mental health disorders. Any traumatic experiences you have had. 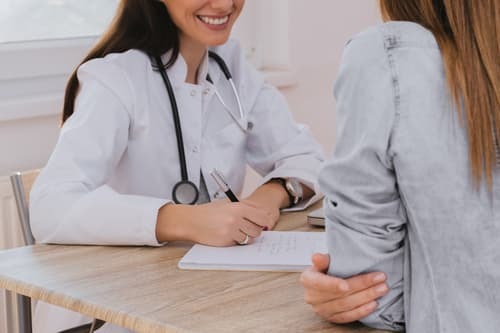 Mental health evaluations are conducted in order to make diagnoses such as major depressive disorder, which will then be used to help guide your treatment. Cognitive Behavioral Therapy (CBT): This type of therapy encourages clients to look at how their thoughts, actions, and emotions influence one another. CBT can help clients with a dual diagnosis realize how their depression and drug abuse are interrelated. For example, a client may learn that when they have a low mood, they also tend to drink more alcohol. If they know this, when they are experiencing low moods, they are more likely to recognize this as a trigger and use healthier coping skills, such as exercising or journaling, to deal with their symptoms. Dialectical Behavioral Therapy (DBT): This is a specialized behavioral approach that includes a focus on healthy emotional regulation and using acceptance-oriented intervention techniques. These skills can help teens be less likely to turn to drugs when they are feeling depressed or suffering from other mental health concerns. Family Therapy: This form of therapy can help the family communicate more effectively, resolve conflict in healthier ways, and foster support among family members. Doing so can help those who suffer from depression and substance use feel less isolated and more understood, which may, in turn, have a positive impact on self-esteem and overall recovery. Mindfulness-Based Techniques: This therapeutic approach encourages acceptance, non-judgment, and focusing on the present moment to increase awareness. Concentrating on the present can help reduce the time a teen spends ruminating on the past or worrying about the future. Also, learning to be more present and accepting of yourself can reduce symptoms of depression. Mindfulness techniques help foster feelings of relaxation and calmness, which also helps to relieve symptoms of depression. 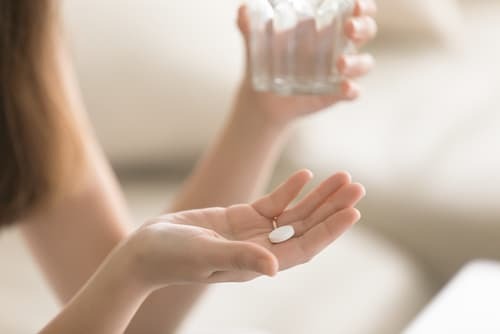 Medication: If you and your medical provider decide that medication management is appropriate, it will need to be closely monitored, and you will need to meet with your prescribing physician on a regular basis to assess your progress and for any associated complications of treatment. Prescribing antidepressants can be particularly tricky when you are also recovering from a substance use disorder. The detoxification process can be an especially vulnerable time, so psychiatrists or other prescribing physicians may decide to wait until after the detox process to prescribe antidepressants to reduce the chance of confusing withdrawal symptoms with medication side effects. Detoxification: This is the process by which your body rids itself of drugs. Depending on the substance you abuse, detox may take place in a hospital or other highly monitored setting. In many cases, professional detox programs are relatively short-term—lasting several days to a week, often in advance of a period of continued substance abuse treatment. Outpatient programs: As part of an outpatient treatment regimen, you meet multiple times a week in a group setting and work with a substance use counselor, as well as other group members, to learn more about your disorders and how to recover from them in a healthy way. You live at home and attend your sessions at the outpatient facility 2 to 6 times a week. You will likely meet individually with a mental health therapist and may also do couples or family therapy. These more personal therapy sessions can help you dive deeper into the factors that contribute to your depression and substance abuse. Inpatient or residential programs: These tend to be longer treatment options where you live at a treatment facility to focus 100% on recovery. Inpatient or residential programs may last anywhere from 30–90 days (or longer, if needed) and often include a variety of activities, such as group sessions, individual therapy, and social activities. Aftercare options: Aftercare is an important component of recovery and offers many people the continued support they need to help prevent relapse. Aftercare options may include continuing to see an individual therapist, attending support groups and meetings, and continuing to meet with your psychiatrist or physician for medication management, as needed. Different therapeutic combinations may be used to best treat those with a dual diagnosis. For example, CBT and mindfulness-based techniques may be used in individual or family therapy while you attend an outpatient treatment program. The important thing is to get the help you need for your depression and substance abuse as soon as possible so you can begin a healthy life in recovery. Kaminer, Y., Connor, D.F., & Curry, J.F. (2007). Comorbid Adolescent Substance Use and Major Depressive Disorders: A Review. Psychiatry (Edgmont), 4(12), 32–43. National Institute of Mental Health. (n.d.). Major Depression Among Adolescents. Griffin, K.W., Botvin, G.J., Scheier, L.M., Diaz, T., & Miller, N.L. (2000). Parenting Practices as Predictors of Substance Use, Delinquency, and Aggression Among Urban Minority Youth: Moderating Effects of Family Structure and Gender. Psychology of Addictive Behaviors: Journal of the Society of Psychologists in Addictive Behaviors, 14(2), 174–184. Khoury, L., Tang, Y.L., Bradley, B., Cubells, J.F., & Ressler, K.J. (2010). Substance Use, Childhood Traumatic Experience, and Posttraumatic Stress Disorder in an Urban Civilian Population. Depression and Anxiety, 27(12), 1077–1086. Neher, L.S. & Short, J.L. (1998). Risk and Protective Factors for Children’s Substance Use and Antisocial Behavior Following Parental Divorce. American Journal of Orthopsychiatry, 68(1), 154–161. Cook, M.N., Peterson, J., & Sheldon, C. (2009). Adolescent Depression: An Update and Guide to Clinical Decision Making. Psychiatry, 6(9), 17–31. Chapman, A.L. (2006). Dialectical Behavior Therapy: Current Indications and Unique Elements. Psychiatry, 3(9), 62–68. Quello, S.B., Brady, K.T., & Sonne, S.C. (2005). Mood Disorders and Substance Use Disorder: A Complex Comorbidity. Science & Practice Perspectives, 3(1), 13–21. Witkiewitz, K. & Bowen, S. (2012). Depression, Craving and Substance Use Following a Randomized Trial of Mindfulness-Based Prevention. Journal of Consulting and Clinical Psychology, 78(3), 362–374.